Sayville FD Asks You To Help Save Lives! 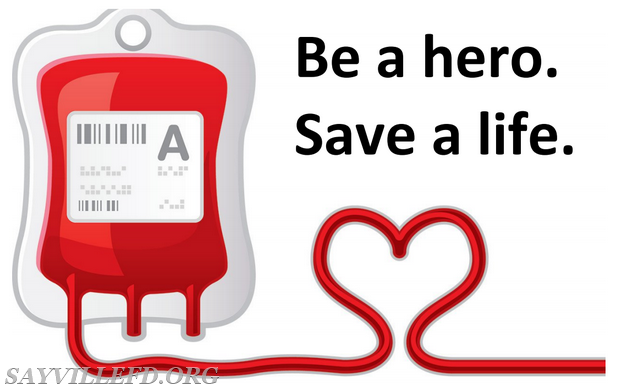 BLOOD DRIVE at the Sayville Fire Department, 107 N. Main Street, Sayville on TUESDAY, APRIL 18TH FROM 3:30 to 8 PM. Blood supplies are even more dangerously low due to winter storms. Think of yourself or family members who will need blood if an emergency happens! Please come down and donate a pint of your blood, the Gift of Life. Thank you.